Kill Team: Commanders does more than just expand the game of Kill Team–it also adds to the growing story of the galaxy, including shedding some light on the Waaagh!!! that has come to Vigilus. Come see the Lore of Commanders. Kill Team: Commanders adds a lot to the Kill Team game. 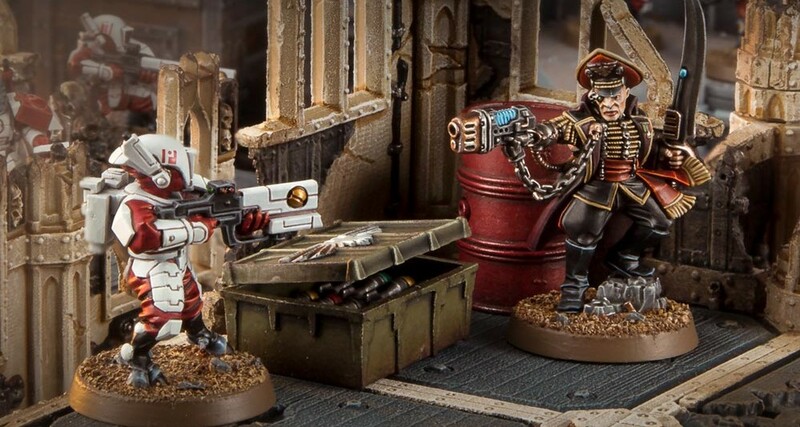 It adds powerful new specializations and different ways to build out your kill team–but it also gives us a look at what’s going on around the galaxy. Today we’ve got a look at exactly how the Imperium was able to beat back the Orkish Waaagh!!! while also giving us a look at the kinds of games that really suit Kill Team. 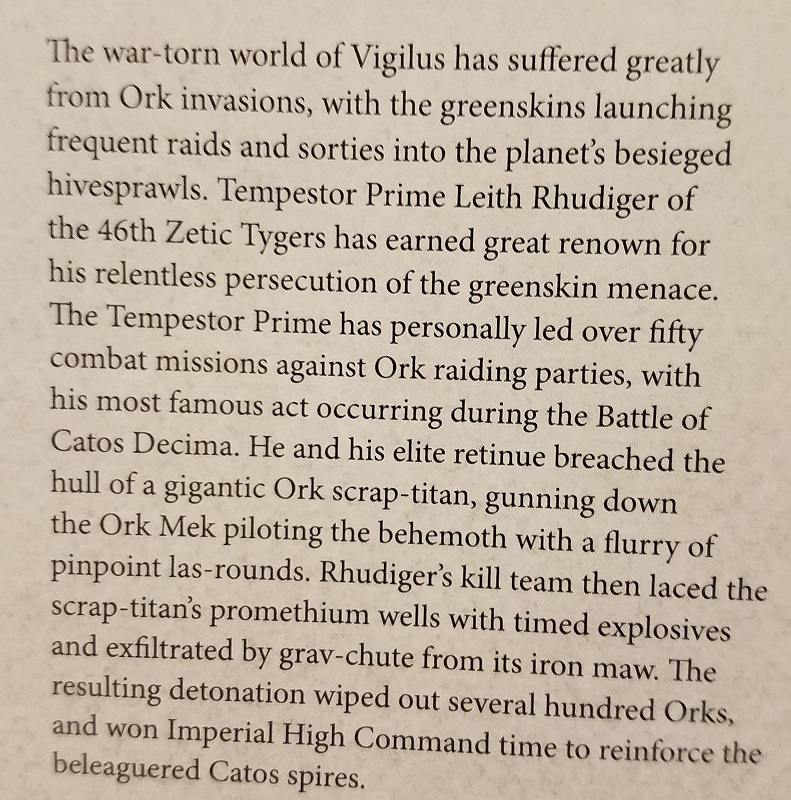 As you can see, it was thanks to the efforts of a Tempestor Prime (and his accompanying Kill Team) that the Catos Spires–which we know now to be some of the ones responsible for the psychic shields protecting Vigilus–were saved. Through the actions of a Kill Team Commander the rest of the army was able to save the day. Throughout the book you can find these harrowing tales of heroism and exciting, close-fought battles. 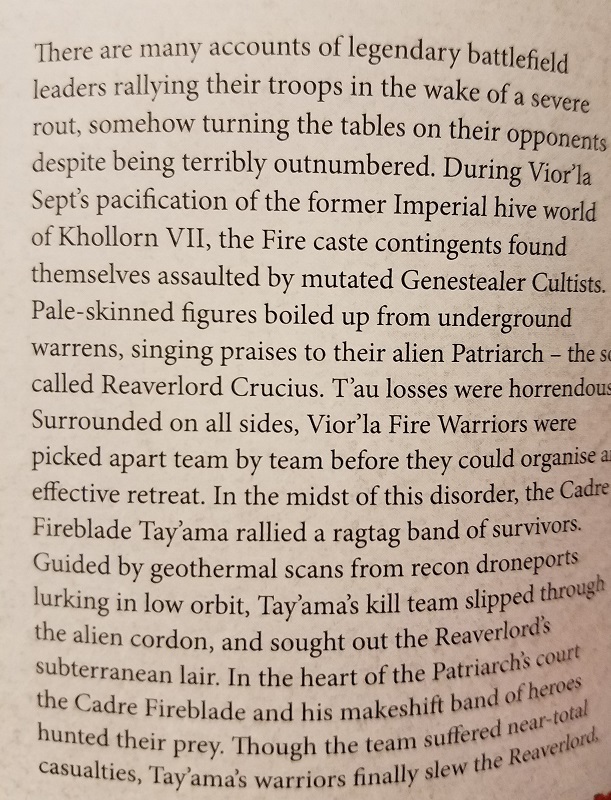 You can see how a team of T’au were able to destroy the momentum of a Genestealer Cultist uprising. 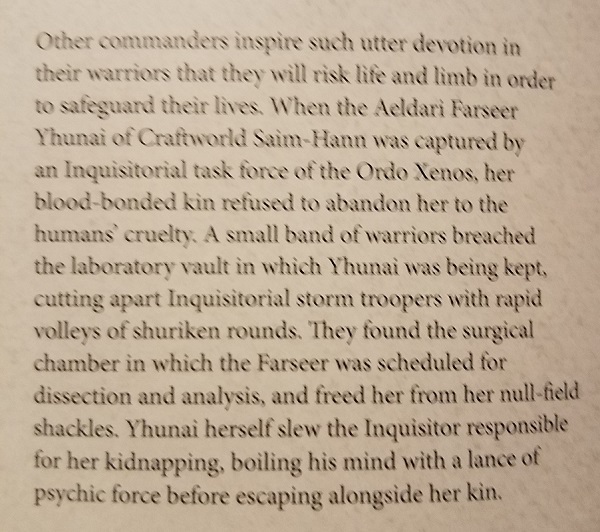 Or how an Aeldari Commander was able to escape from imprisonment by the Inquisition. The upshot of all this lore is that it shows off what Kill Team is all about. It’s how you get those Guns of the Navarone or Dirty Dozen kind of moments. A squad of misfits needs a character to lead them, and this is how you introduce them into your games. One of the most appealing parts of the game is the narrative that gets built into each match–I’m a sucker for campaigns, but then I come to this from an RPG background. I’m more interested in the story that drives the moments behind the games. And on a tactical side, I love squad-based games, there’s no secrets there. XCOM and Achtung! Cthulhu and the upcoming Mechanicus all have their hooks in me, so it’s very exciting to find a way to bring this to the tabletop. 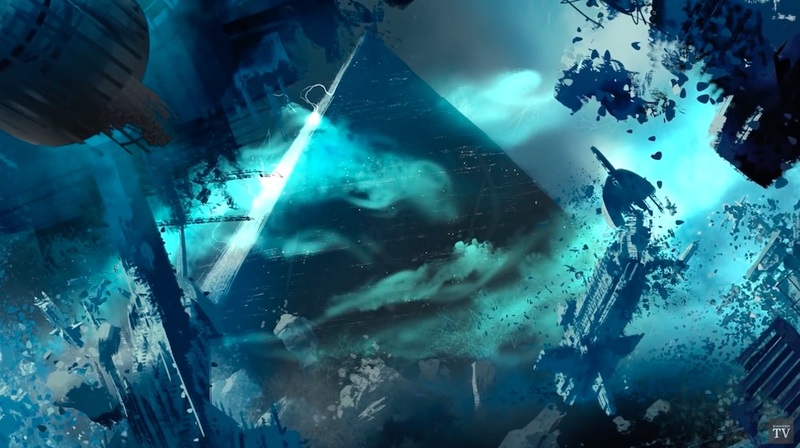 What I’d really like to see is a game layered on Kill Team’s bones that lets multiple players control a character, all trying to complete an objective–but it sounds like Blackstone Fortress might scratch that itch. At any rate, there’s a look at how lore and narrative come into play in the new Commanders expansion. 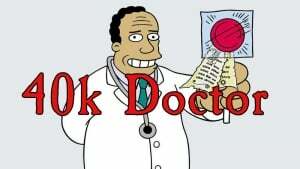 Hopefully you can add some of that to your games! How much do narrative/lore factor into your games? Kill Team or otherwise? Is it mostly there in the background, or do you build for utilizing them?